What do Sweden, Norway, Denmark and Finland have in common? Well, apart from being all Nordic countries, they all share the fact that their winters are very long and cold. I mean...super cold!! But that's not the only thing they have in common. 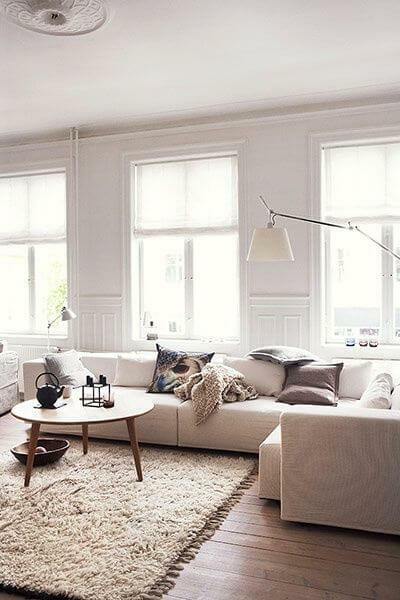 These places are the ones where the so popular "Scandinavian Style" also known as "Scandi" originated. The reason being, of course, you guessed it right: their winters! Having a case of cabin fever? Or maybe your are suffering from winter blues. 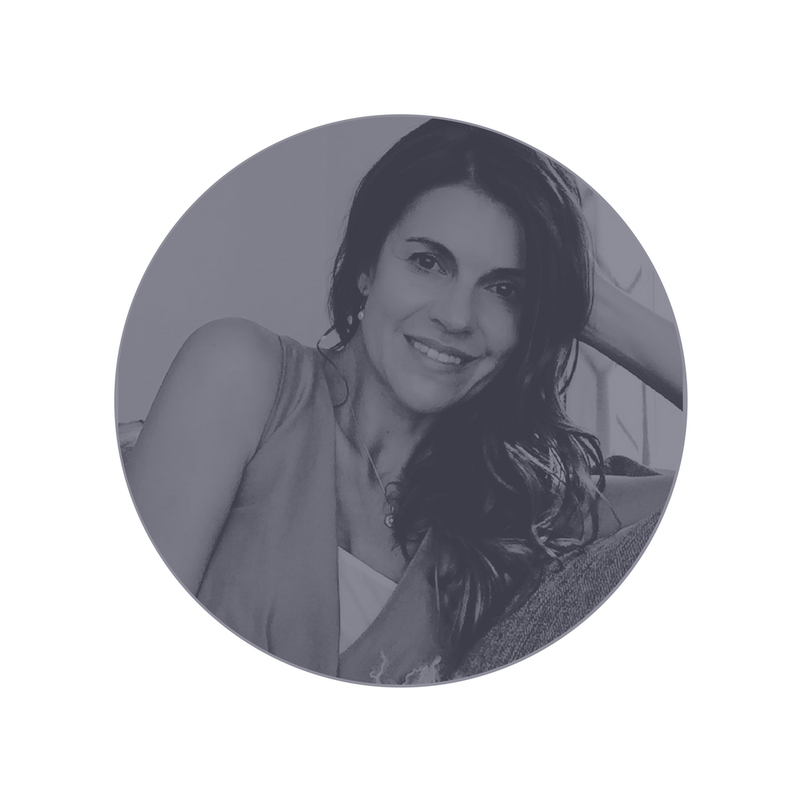 Maybe, you need to consult your designer for a homemade remedy that will help you treat both. Fortunately, you have to go no further because a good dose of "Scandi style" is what I'm prescribing to you for as long as you want to take it. Seriously, no side effects, or anything like that. And the best part is that you can refill the prescription yourself whenever you feel like it. 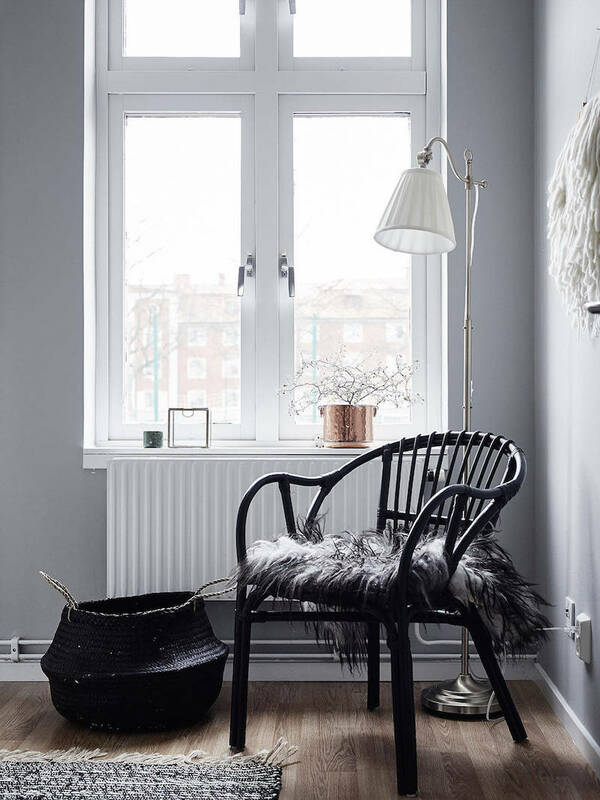 Today I want to share 5 easy ways to incorporate this style into your home and transform it into an Scandinavian retreat. Are you liking what you see? Good, because you too can have a space that looks like these. 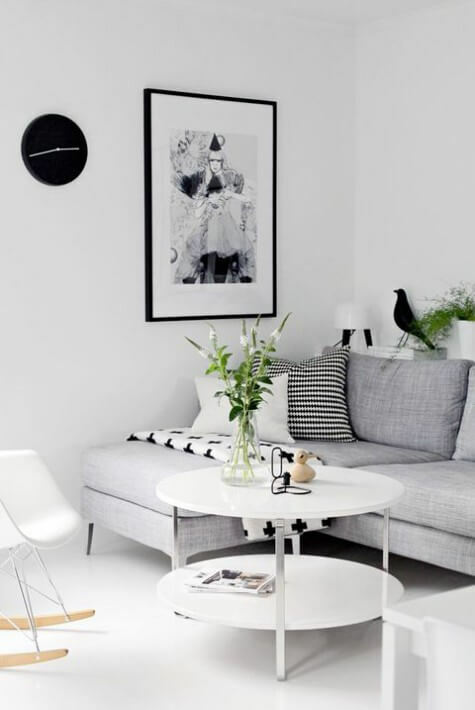 Scandinavian style and Minimalism are super similar in the elements they share. 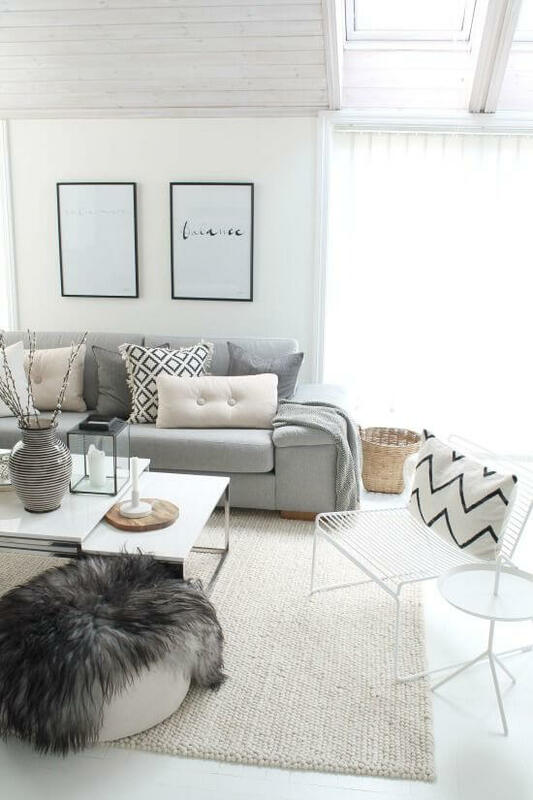 But the difference is that Scandi style is warmer and cozier than Minimalism. We could say that they are like cousins, but one is more friendly than the other. 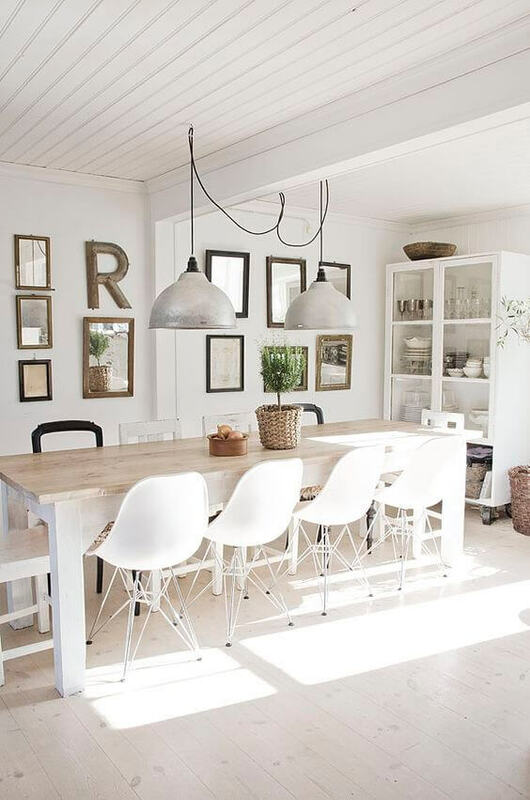 Scandinavian style is perfect for the nature lovers who like to let the sun come in to bounce around the white walls. 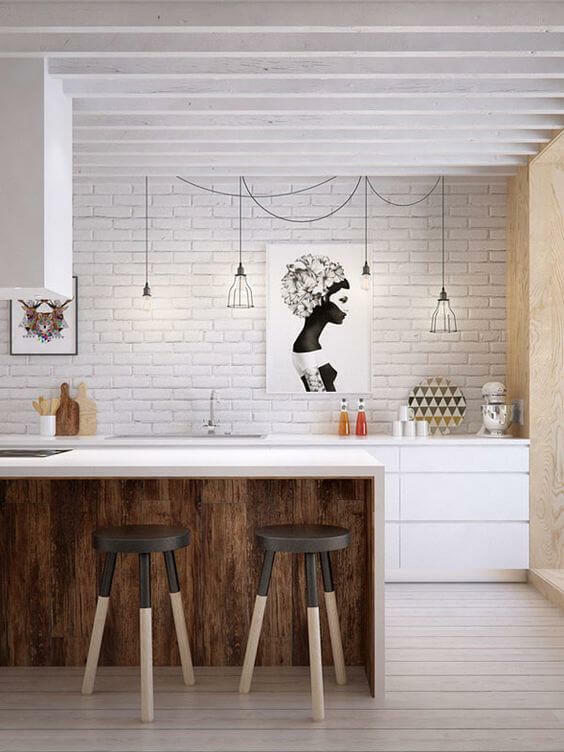 So, if you want to incorporate this style in your home, these are some tips that can guide you through the process. As we know, very monochromatic neutrals dominate with some hits of black to anchor of the space and/or to accentuate any particular features. 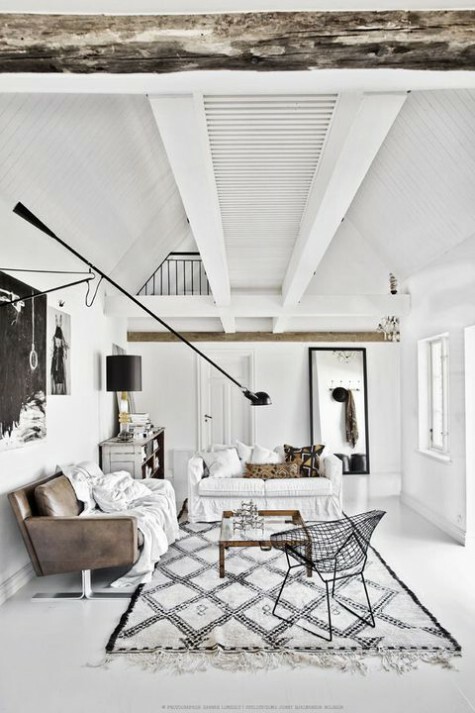 White or soft gray walls with heavy wood accents -like beams or white washed finishes- to warm everything up. Think chunky knits, faux fur, soft and cozy linens. 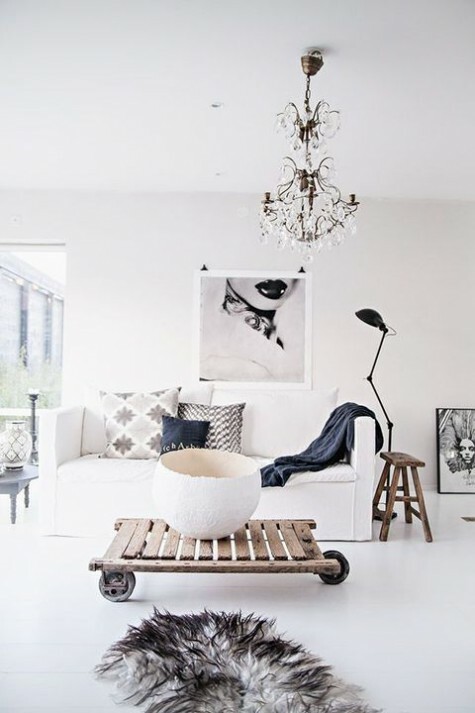 It's very common to see the addition of natural organic materials like wicker and rattan as the main options. 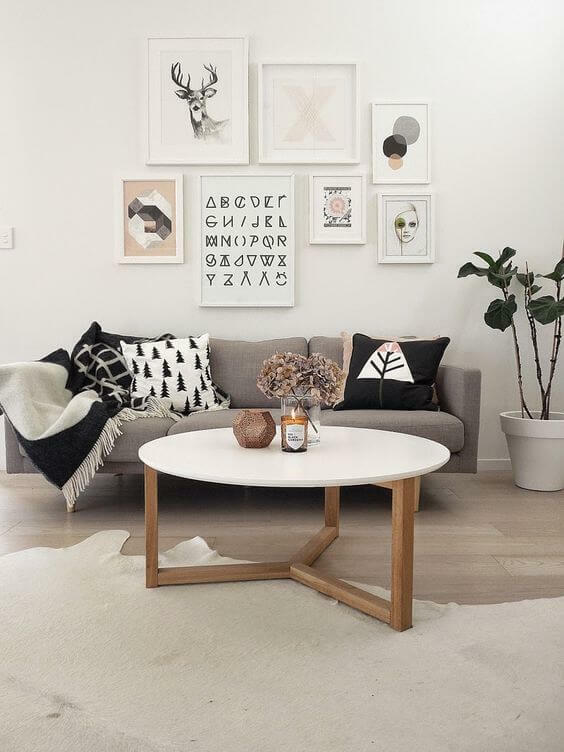 Simple clean lines, vintage with some traditional pieces here and there. It's not rare to see some mid-century modern sofas or chairs in these interiors. Nothing shiny, too fancy or very ornate. 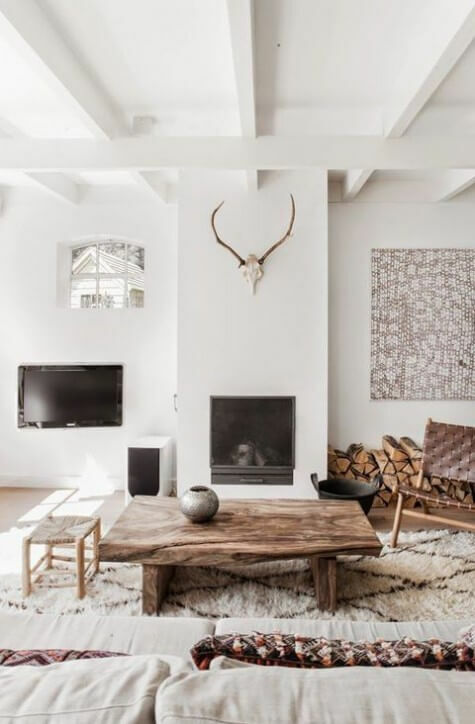 Go for organic woven tapestries, wooden decorative elements and nature inspired art. Mainly black and white and abstract or very modern. And please don't forget to add those plants to bring that space to life. Opt for geometric patterns, specially triangles and anything that resembles shapes drawn from nature. The idea is to add warm without clattering the space. It should feel light, airy and cozy. 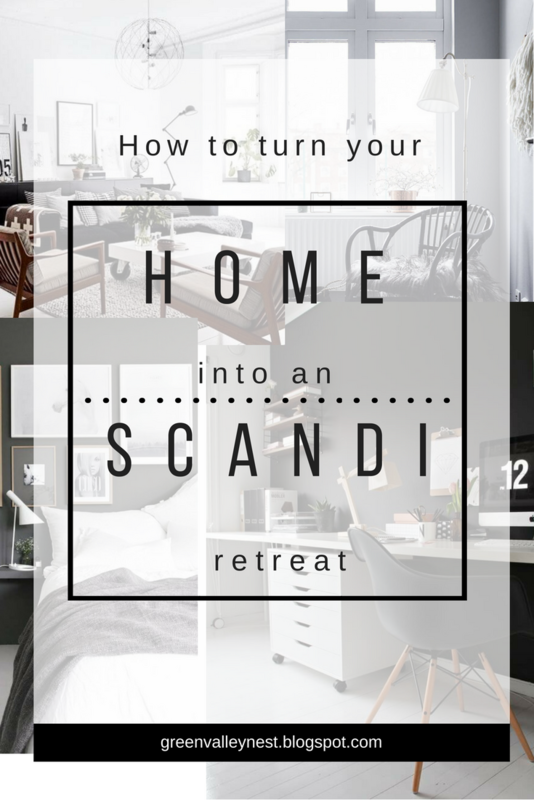 I hope this post inspire you to create your own Scandi retreat to survive this winter.